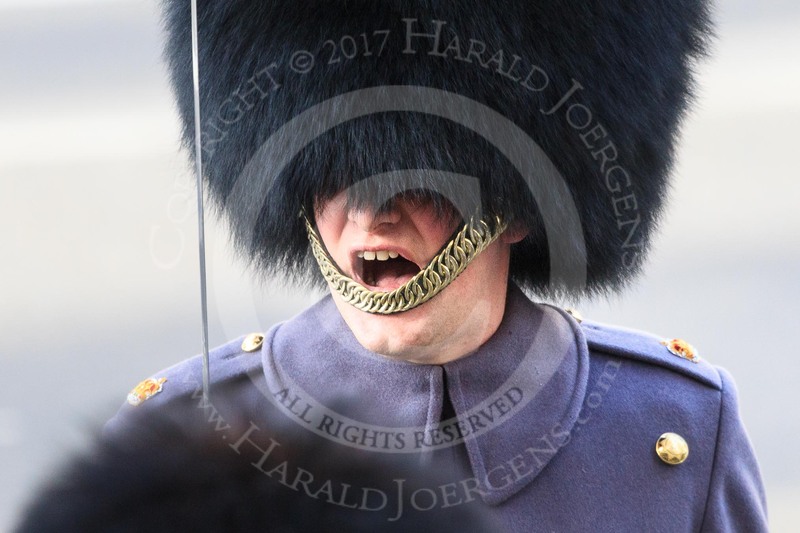 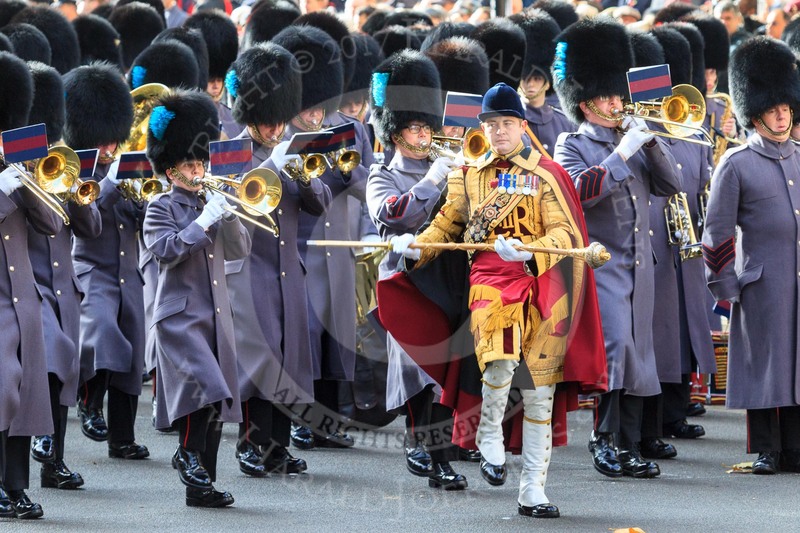 The third of the Massed Bands, the Band of the Irish Guards, led by Senior Drum Major Household Division, Damian Thomas, Grenadier Guards, arrives on Whitehall before the Remembrance Sunday Cenotaph Ceremony 2018 at Horse Guards Parade, Westminster, London, 11 November 2018, 10:27. 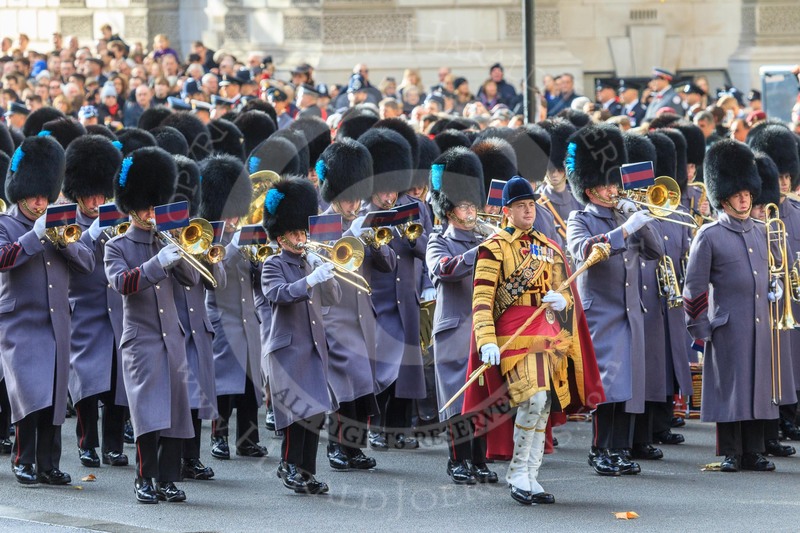 A Coldstream Guards Major commands his group of the Service detachment from the Army before the Remembrance Sunday Cenotaph Ceremony 2018 at Horse Guards Parade, Westminster, London, 11 November 2018, 10:27. 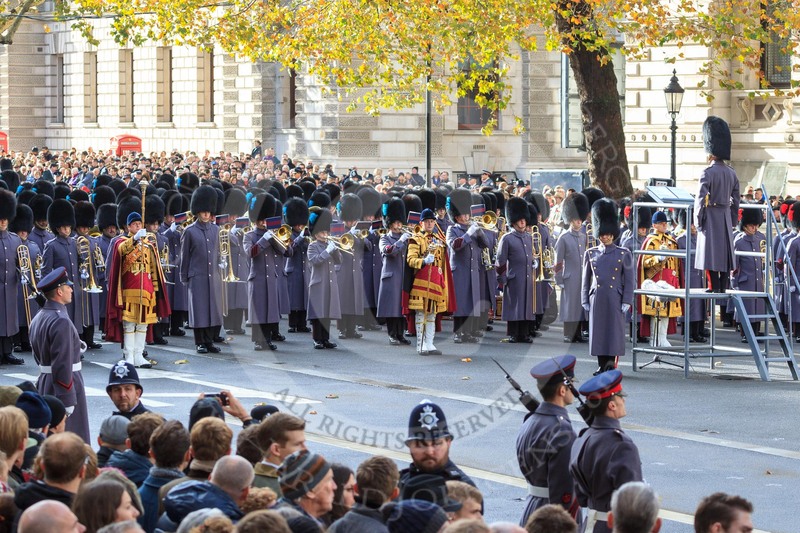 Three of the Massed Band are in position on Whitehall before the Remembrance Sunday Cenotaph Ceremony 2018 at Horse Guards Parade, Westminster, London, 11 November 2018, 10:28. 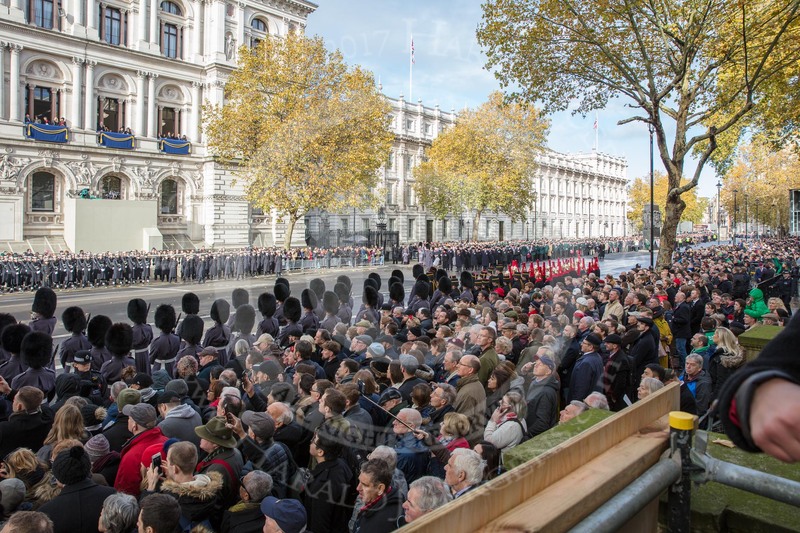 Whitehall 32 minutes before the start of the Remembrance Sunday Cenotaph Ceremony 2018 at Horse Guards Parade, Westminster, London, 11 November 2018, 10:28. 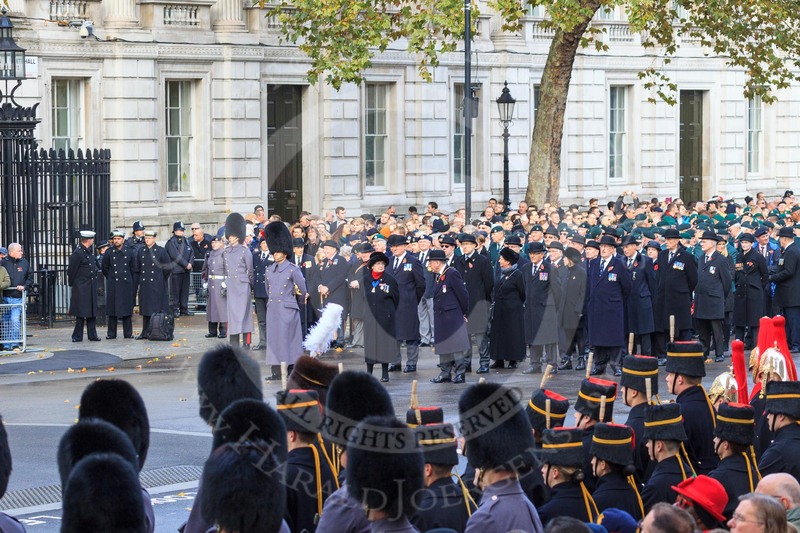 Whitehall with the Cenotaph 32 minutes before the start of the Remembrance Sunday Cenotaph Ceremony 2018 at Horse Guards Parade, Westminster, London, 11 November 2018, 10:28. 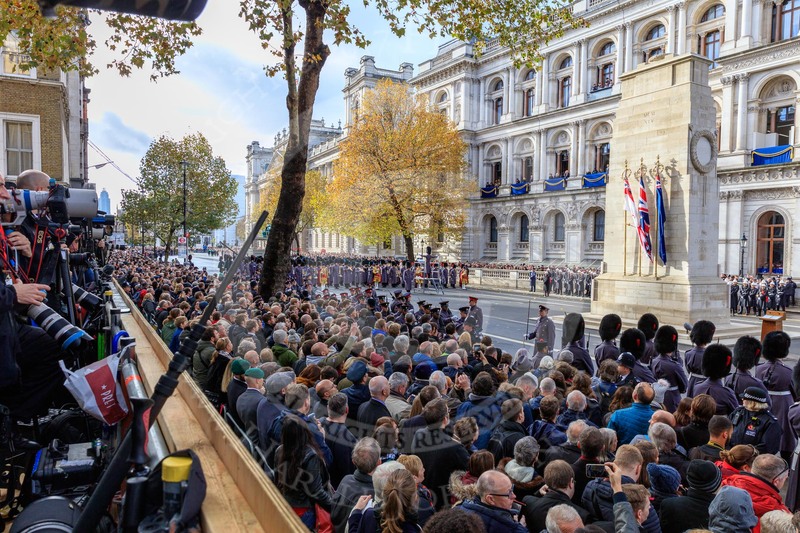 The western side of Whitehall, with the Cenotaph and the press stand, 32 minutes before the start of the Remembrance Sunday Cenotaph Ceremony 2018 at Horse Guards Parade, Westminster, London, 11 November 2018, 10:28. 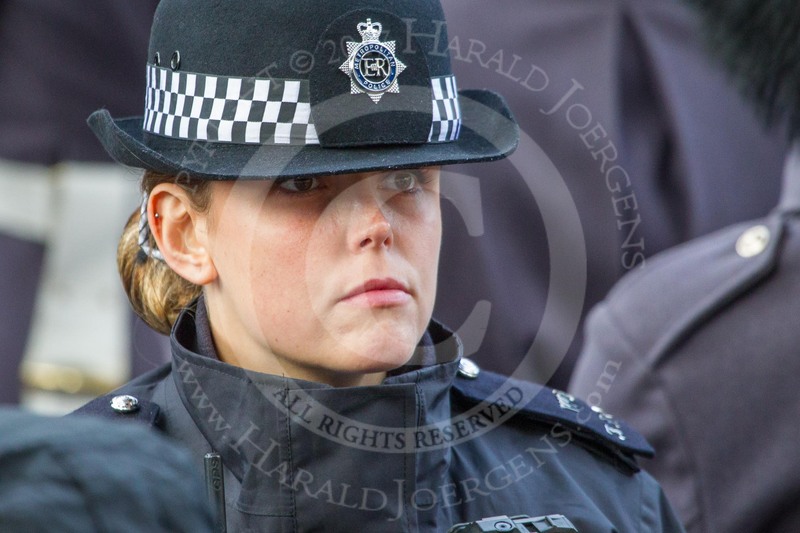 Metropolitan Police Constable Snell keeping an eye on the crowds before the Remembrance Sunday Cenotaph Ceremony 2018 at Horse Guards Parade, Westminster, London, 11 November 2018, 10:29. 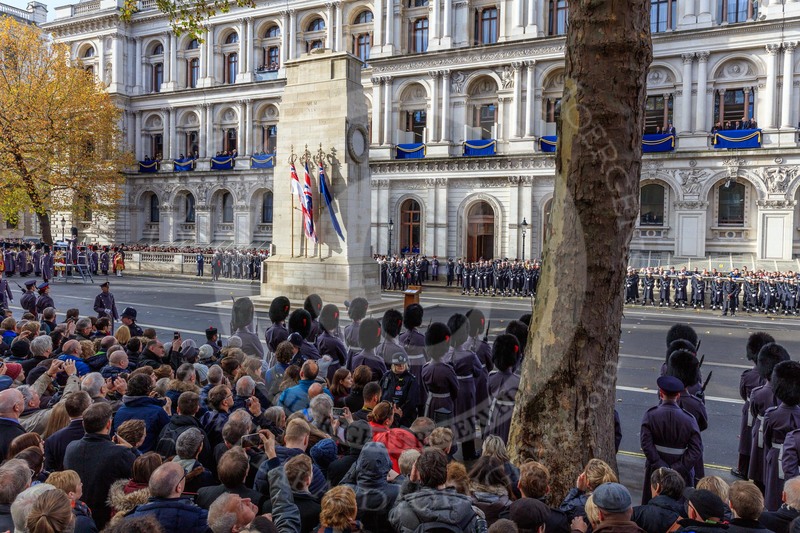 The Service detachment from the 3 Regiment Royal Logistic Corps is in position on the east side of Whitehall before the Remembrance Sunday Cenotaph Ceremony 2018 at Horse Guards Parade, Westminster, London, 11 November 2018, 10:29. 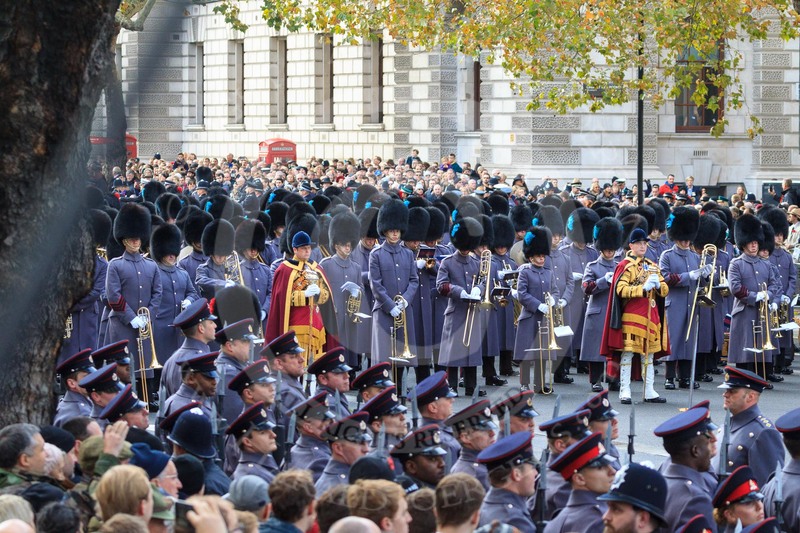 The first groups of the March Past are in place near Downing Street corner on Whitehall before the Remembrance Sunday Cenotaph Ceremony 2018 at Horse Guards Parade, Westminster, London, 11 November 2018, 10:30. 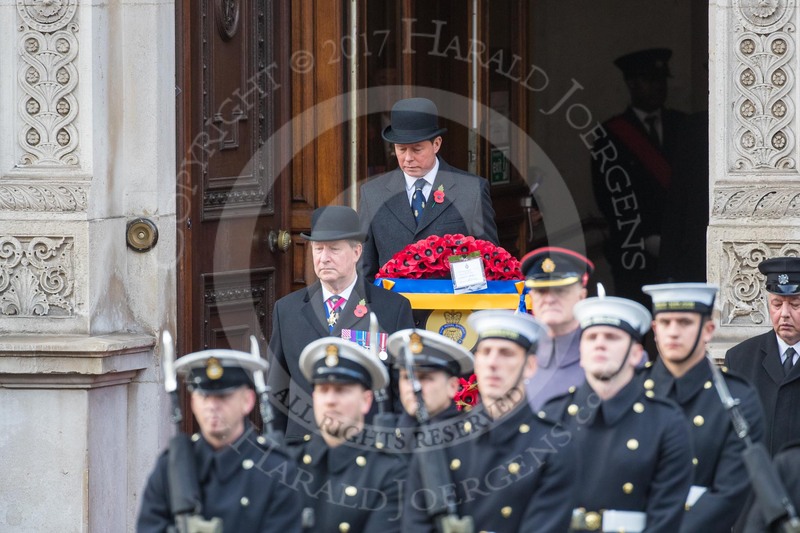 In front the Service detachment from the King's Troop Royal Horse Artillery and Service detachment from the Household Cavalry. 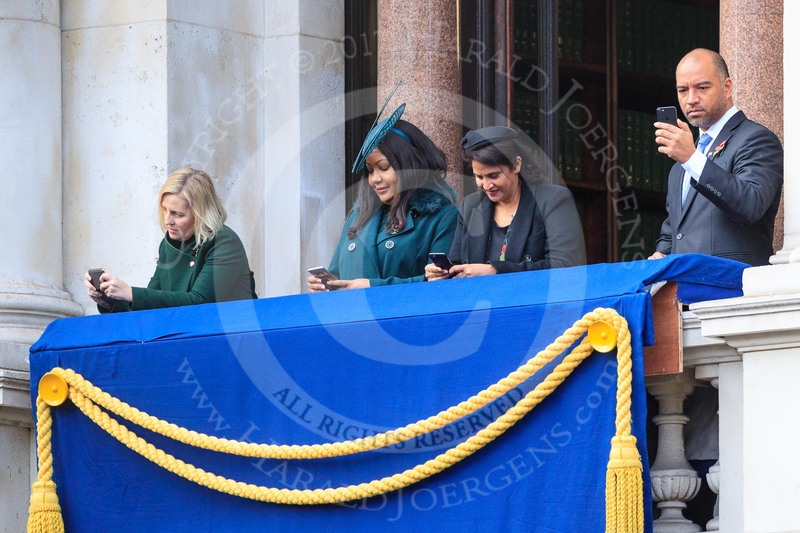 Early guests on one of the balconies of the Foreign and Commonwealth Office fiddling with their mobile phones before the Remembrance Sunday Cenotaph Ceremony 2018 at Horse Guards Parade, Westminster, London, 11 November 2018, 10:32. 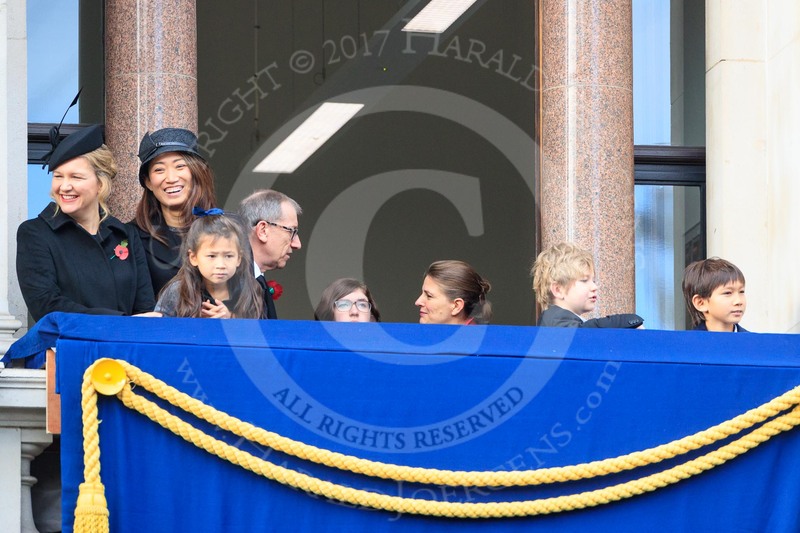 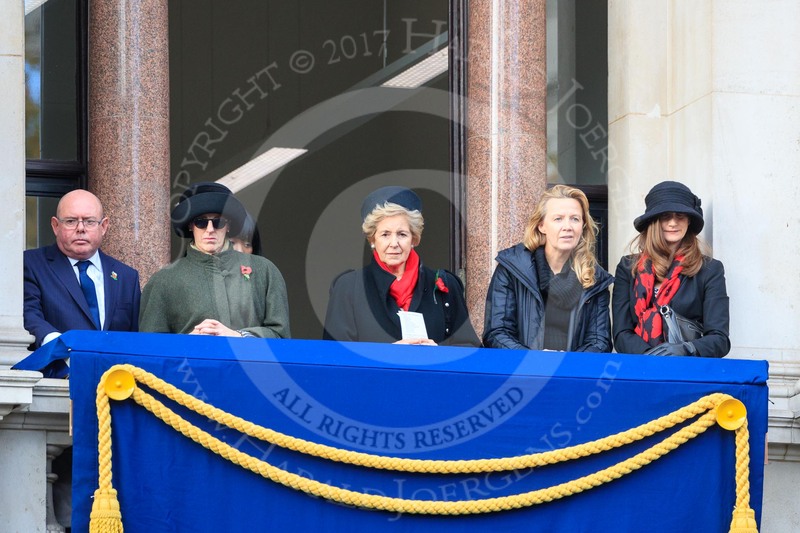 Early guests on one of the eastern balconies of the Foreign and Commonwealth Office before the Remembrance Sunday Cenotaph Ceremony 2018 at Horse Guards Parade, Westminster, London, 11 November 2018, 10:34. 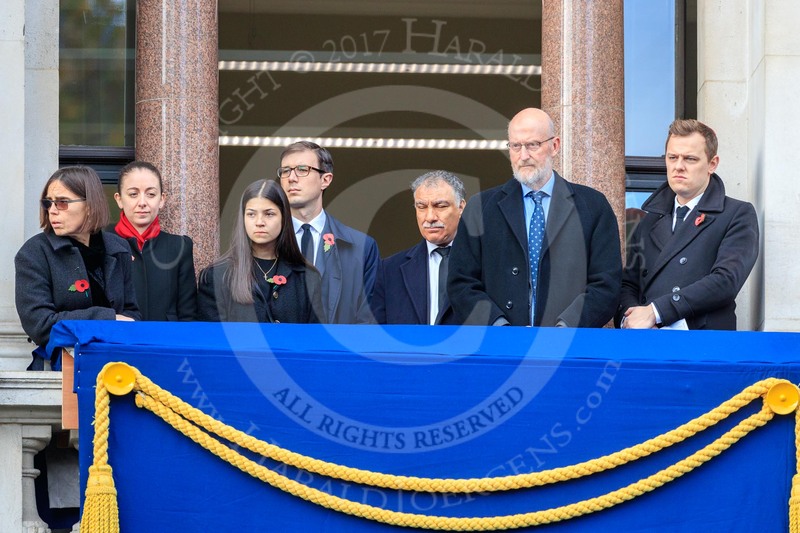 Representatives of The Royal British Legion, London Transport, the Royal Air Forces Association , the Royal Naval Association , the Royal Commonwealth Ex­Services League, the Royal British Legion Scotland, and the Royal British Legion Women’s Section leaving the Foreign and Commonwealth Office before the Remembrance Sunday Cenotaph Ceremony 2018 at Horse Guards Parade, Westminster, London, 11 November 2018, 10:35.